Average collision repair vehicle rental times increased by a third of a day last quarter and were half a day over the five-year average, Enterprise Rent-A-Car announced Monday. A weather-induced backlog likely wasn’t to blame, according to Enterprise collision industry relations Vice President Frank LaViola. Rather, the increases — 0.3 percent from April-June 2014 to 11 days on average — might have come from complications in the collision repair process itself, he said. LaViola in an interview Monday pointed to January-May data showing European vehicles taking about 1.4 days longer to repair than American autos as one possible example of vehicle complexity and/or longer time to obtain parts. He also said that he’d heard anecdotal reports of repair times growing because of waiting on an insurer. LaViola also observed Monday that the growth of direct repair programs seems not to have yet significantly pared down rental times to the degree one would expect. However, a 1.2-day increase in rental times for the Mountain Region — the largest growth over April-June 2014 — was attributed partly to Colorado hail, according to Enterprise. The Northeast still posted the longest rental times, 12.3 days, while collision repair customers across the country in the Northwest were out of their Enterprise loaners the soonest, at 9.4 days. Estimates of when a customer’s collision repair will be finished would be much more accurate if done after the vehicle teardown and the shop had worked out the parts logistics, a repairer-insurer panel and audience seemed to agree during the recent Detroit Collision Industry Conference. 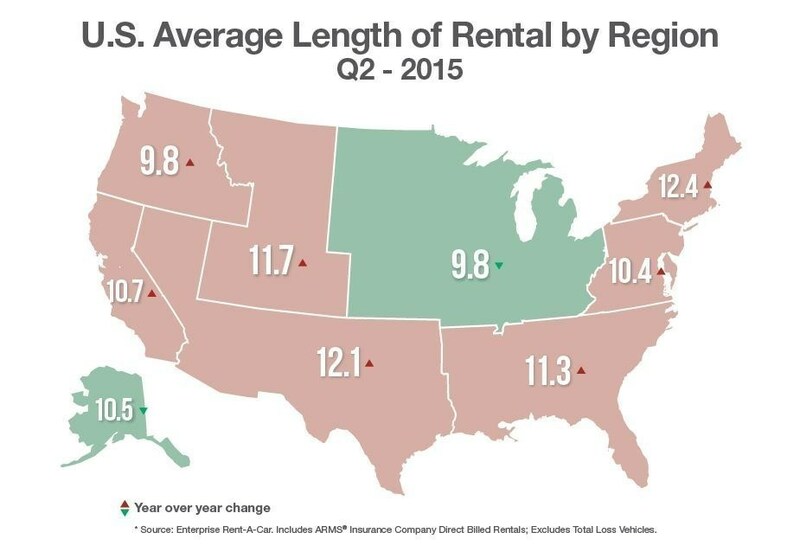 Ironically, rental times dropped by 2.4 days in the first quarter of 2015. Enterprise attributed the reduction to factors including better weather in the Midwest. LaViola also noted then the “type and complexity of vehicles paired with existing vehicle repair methods” could affect rental times. Enterprise’s parent company Enterprise Holdings also announced recently the Canadian wing of Enterprise Rent-A-Car had bought Metavera Solutions. Metavera’s offerings help manage car sharing and fleets. 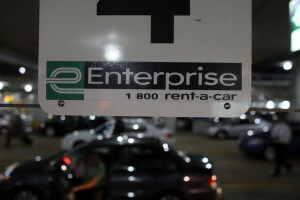 Enterprise said the acquisition could help with Enterprise CarShare, intended to let customers rent a variety of vehicles parked around their city for durations as short as an hour.